McGill University is concerned Visa delays will prevent some international students from attending univeristy. McGill University says visa delays could set back the education of some international students by a year. 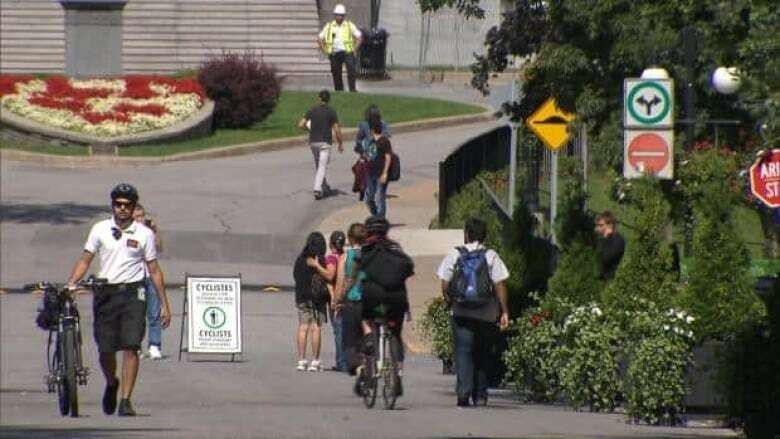 "That’s a real possibility that there will be students missing in the ranks," said McGill University’s Dean of Students, André Costopoulos. The strike by Canadian foreign service workers is causing a significant backlog in visa applications, which could have serious consequences for Canada’s international students. Costopoulos said McGill is telling its students that if they are more than two weeks late, they should wait for the next semester. Sometimes that means waiting several months, or in the case of engineering students, an entire year. Costopoulos said those kinds of delays can have serious consequences for students at such a "critical" time in their education. The missing students could have broader implications for Canada's universities, and the country at large. "[International students are] really important to the economy and to Canada’s international landscape as a whole," said Jonathan Champagne, national director of the Canadian Alliance of Student Associations. According to Champagne, international students contributed $8 billion to the Canadian economy in 2010. He’s concerned the delays will hurt Canada’s reputation. "Across the country, Canada is world renowned for attracting international talent," Champagne said. "Now students from around the world are potentially … having to go look at other places to study such as the UK or Australia." The job action by foreign service workers could also have consequences for university admissions. If hundreds or even thousands of students defer their school year, the university will be forced to make special accommodations. "We’re working on adjusting our level of offers that we make," Costopoulos said. There are no new talks scheduled between the union and the government. Champagne said he hopes that changes soon. "We’re just calling for a resolution to this dispute as soon as possible."